The Sarasota County Facilities and Fleet Management – Material Management Departments are a group of county employees committed to environmental stewardship. The team regularly discusses environmental practices and programs at staff meetings, and developed a policy that emphasizes conservation of resources. This commitment is demonstrated throughout the department via recycling programs, reuse efforts and energy conservation measures. Reduce, reuse, recycle is the focus of the Facilities, Fleet and Materials departments. They have designed a comprehensive program to encourage recycling participation. This program includes the collection of scrap metals, used equipment, batteries, cardboard. The county also collects electrical boxes, cabinets, metal poles, and utility equipment for repurposing or reuse. The department partners with GBP All-Faiths Food Back by providing them with boxes. The facilities office is focused on energy conservation measures. These measures include LED lighting, the installation of automated control system and a 75 kW PV solar array. The fleet department manages a number of vehicles include EV plug ins and hybrids that the county has invested in. 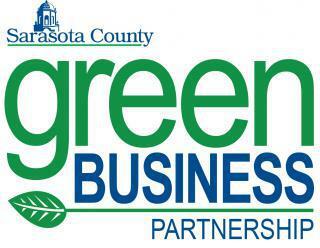 Department director, Steven Thomas would like to thank all that have assisted in the green business efforts.